Type Casting in Java, Converting one type to another is known as Type Casting in Java. Since Java is an Object oriented programming dialect and backings both Inheritance and Polymorphism, It’s simple that Super class reference variable is indicating SubClass object, yet the catch here is that there is no chance to get for the Java compiler to realize that a Super class variable is indicating SubClass object. Which implies user can not call a method which is pronounced on the subclass. Keeping in mind the end goal to do that, user initially need to cast the Object once more into its unique sort. This is called sort throwing in Java. Widening: Converting lower data type of higher data type is known as Widening. If compiler performs widening on its own, then it’s known as auto widening. Narrowing: Converting higher data type to any of the lower data type is called as Narrowing. Narrowing should be explicitly done by the programmer, the compiler cannot perform it because data loss occurs. Casting for char and Boolean is not possible. Type Casting in Java, Compiler first looks for same type, then goes for widening. While invoking overloaded method, the compiler gives preference to same type of argument. If it is not found then it performs widening automatically. 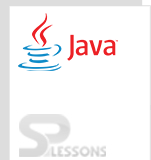 Converting one type of an object to another type of object is known as Derived Type Casting in Java. The derived type casting can be done only if classes are involved in Is –A relationship. Upcasting: Converting subclass object to super class type is known as upcasting.Whenever a subclass object casted to superclass type the object hides all the subclass behavior and fields. It only exhibits super class type. If compiler performs upcasting on its own then it is known as auto upcast. Downcasting: Converting an object from superclass to subclass type is known as down casting.A newly created instance of superclass cannot be downcasted because that instance doesn’t have the behavior of subclass. The compiler compiles down costing statement, but JVM throws an exception called classcastexception. The only upcasted object contains all the behavior, but hiding the subclass features. Whenever we have to access subclass features or behavior from upcasted object, downcasting has to be performed. The following is an simple example to understand the overview of an upcasting. In the above example, reference variable of Parent class(A) refers to the object of Child class(B) so this is known as upcasting. The following is an example by using polymorphism . In the above example also upcasting has been done successfully so when you compile the code result will be as follows. Type Casting in Java is the process of changing the type of data to another type. Converting lower data type to higher data type is known as Widening.